It goes without saying that wearing glasses can be both a lifesaver and a hurdle. While wearing your glasses, you can finally see like much of the population, but you are also prevented from doing certain things well. We’ve covered numerous activities where glasses get in the way, such as swimming, football, reading at a distance and more. There is another category that affects millions of people worldwide, one with real impacts on vision over time. The world of video games and 3D movies. These are considered the more traditional mediums for video games in the current entertainment landscape, with users connecting their systems to screens, which for a long time were CRT (think the large TVs and monitors from the early 2000s and back), but now are more frequently LCD and LED. Spending long periods of time playing games can actually have a detrimental effect on your eye health. With more and more information coming out regarding digital eye strain, it’s important to know if you are at risk. This re-enforces the importance of taking care of your vision if you’re someone who spends a lot of time in front of a computer or television. Some call VR a fad, but, in truth, it is an emerging technology with a bright future ahead of it. The total immersion of a user into a game or program is tantalizing to consider, but this immersion requires one incredibly important piece of technology–the headset. It goes without saying, wearing glasses under a VR headset is a frustrating task. Nothing takes you out of the experience of being in a different world than having to constantly re-adjust glasses. Contacts are better than glasses, however the prescription must be able to address imagery directly in front of your eyes. To fully enjoy the fruits of the VR industry, strong corrected vision is a must. 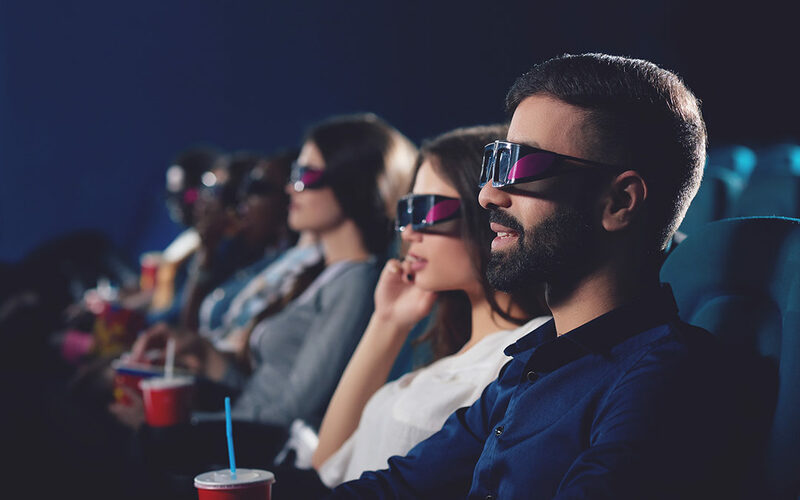 Last year there were 44 box office movies released in 3D, which accounts for a healthy portion of the films over the year. As someone who wears glasses everyday, going to one of these movies can be a major point of frustration. Unless you are wearing contacts, you are stuck wearing the 3D glasses overtop your own. Not only does it look odd, it is easy to jostle them requiring regular adjustments. The alternative is to not wear your own glasses, but that often means you will struggle to see some things on-screen, or anything at all! What’s the best way to enjoy modern entertainment and avoid the headaches that can arise? The answer is by going frameless. Laser vision correction is proven to improve vision with little difficulty or discomfort for most patients. You can finally get rid of your glasses without having to wear contacts giving you the freedom to live life without boundaries.